Written by Timothy S. Rich and Andi Dahmer. Due to the rise of China and Xi Jinping’s more aggressive behavior towards Taiwan, Taiwan and its regional partners must consider means to lessen the security threat. The rapid modernization of China’s military combined with a perceived American retreat from its interests in the region should provide cause for alarm as Taiwan cannot thwart an extended attack from China on its own with conventional weapons nor can it seek military equipment from nations other than the United States. However, other options remain. With regional concerns that China intends to alter the status quo, not only regarding cross-Strait relations but also the regional security balance more broadly, countries should consider their own versions of the Taiwan Relations Act (TRA) as a means to signal their intent to aid a fellow democracy. 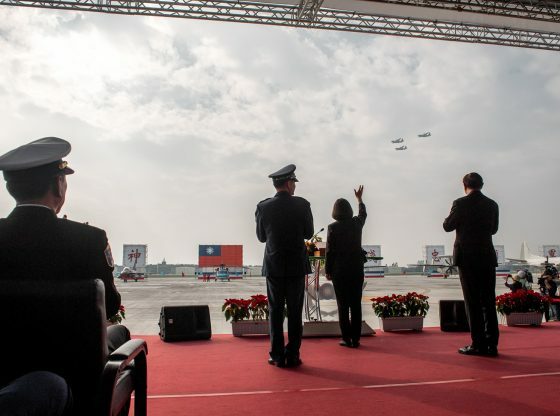 Post-recognition, the TRA provided the U.S. a path to assist in Taiwan’s long-term defense in the absence of both a military presence and even formal relations. The ambiguity of the act allows for the U.S. to aid Taiwan without binding the U.S. to respond to crises that Taiwanese leaders may have created themselves, allowing for a strategic ambiguity that had aided peace in the region since. While Chinese leaders repeatedly claim the TRA is a runaround to maintain a “two China” or “one China, one Taiwan” policy, the fact remains that the policy aids in the stability of Taiwan and likely toned down Chinese expectations, rhetoric aside, of unification in the short-term. But why have other countries not followed suit? Robert Eldridge, a senior fellow at the Japan Strategic Studies Forum in Tokyo, for example, makes the case that Japan should form their own version of the TRA, taking advantage of Prime Minister Shinzo Abe’s affinity for Taiwan and building on Taiwan’s former president Lee Teng-hui (李登輝)’s calls for closer relations. Liberal Democratic Party member, Keisuke Suzuki, also intimated the possibility of a Japanese equivalent to the TRA within three years, despite the absence of a legal structure affording Japan the means to aid in Taiwan’s defense. Japan is not alone in its concerns regarding China’s increased military might. South Korea and Australia are both concerned about Chinese influence in the region, if not specifically regarding Taiwan, and both remain major trading partners to Taiwan. Admittedly, the political costs of such an endeavor should not be overlooked. A Japan willing to more closely align security interests with Taiwan will evoke claims in China not only of Japan’s intent to keep Taiwan permanently separate from China, but also that constitutional reform to allow for a modern military intend to limit Chinese interests more broadly. A South Korean version would likely receive similar Chinese backlash, although with the absence of rhetoric comparing the decision to the Sino-Japanese War. This version might also encourage China to take actions regarding North Korea that undermine South Korean interests. With relations between Australia and China already under some pressure, even a vaguely worded TRA that only signaled Australia’s option to come to Taiwan’s defense would likely lead to a further deterioration of relations. Furthermore, Australia’s economic ties with China, Australia’s second-largest trade partner, are already strained by the current trade war between China and the U.S. This would likely inhibit further decisions which may estrange the two countries. 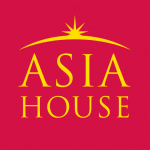 Nevertheless, such a move to replicate the TRA elsewhere would allow greater flexibility for the United States, which would carry less of the burden politically and economically for the defense of Taiwan while sending a clear signal that the democracies of the region stand in unison to a threat of a neighbor. Timothy S. Rich is an associate professor of political science at Western Kentucky University. He tweets at @timothysrich. Andi Dahmer is an Honors undergraduate researcher at Western Kentucky University majoring in Economics, International Affairs, Spanish, and Asian Religions and Cultures. This article was first published on the News Lens International and can be found here. Image credit: CC by Office of the President of the Republic of Taiwan/Flickr.